Updated 6:33 p.m. April 13, with tentative agreement: Washington University and unionized part-time faculty members announced a four-year tentative agreement late Wednesday that covers wages, job security and other issues the instructors had sought. The move turns a planned protest rally and faculty walkout scheduled for Thursday into what a union spokeswoman called a victory rally. The agreement still needs to be ratified by members of the Service Employees International Union in the coming weeks. Negotiations on the contract took about 12 months. 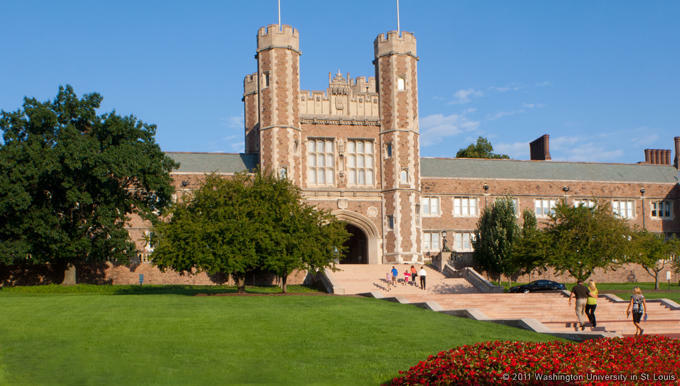 “This victory would not have been possible without the great team of adjuncts and the support of the students, faculty, staff and community at Washington University and the wider St. Louis community,” the union said in an emailed statement. “From the start, we have taken this process seriously, negotiating in good faith and with a commitment to finalizing a contract as quickly as possible. “This has been a complicated series of conversations. Our goal throughout has been to come to terms that serve our faculty and students well and help the University fulfill its mission. We believe the proposed contract does just that. It provides the necessary flexibility for the university to continue to manage our educational offering. It also provides fair increases in our per course compensation structure. The union also said that adjuncts at Saint Louis University plan to file for a representation election on Thursday. Our original story: Frustrated by the refusal of Washington University to budge on a pay increase, adjunct instructors say they may walk out of class on Thursday — and some students will join them in solidarity. Negotiations have been going on for months between the university and part-time teachers, who voted more than a year ago to unionize. So far, 19 sessions have been held with more than a dozen tentative agreements reached, primarily on non-economic issues, such as office space where instructors can meet with students and on more stability in hiring and scheduling. The university also has offered to pay a cancelation fee when an instructor’s course is canceled on short notice. More talks are scheduled this week in advance of the possible strike and rally on campus. Michael O’Bryan, a member of the negotiating team, says Washington U has dug in its heels on the basic issue of pay. Currently, O’Bryan said, adjuncts average about $4,500 per class per semester. So someone who teaches between three and four classes at a time, which he said the university considers a full-time load, makes between $27,000 and $36,000 a year. For teachers who often have a doctorate degree and experience in their field, he said, that salary isn’t enough, particularly when compared with what full-time teachers in comparable fields are paid. “What we’re arguing is that if you’re going to be teaching 50 to 75 percent of the time,” O’Bryan said, “you should make 50 to 75 percent of what a full-time wage should be, according to our qualifications and contributions to the university. University spokeswoman Jill Friedman said that the comparisons that adjuncts make between the salaries of full-time professors and part-timers are not really valid, because of research and administrative responsibilities that full-timers have. “The premise is entirely wrong,” she said. “With a part-time instructor, we pay on a per-course basis, and at the negotiating table, that is really what we have focused on. She also said Monday that contrary to the figure used by O'Bryan, the average per-course compensation for part-time instructors in the spring semester last year who would have been part of the bargaining unit was $5,872, not $4,500. “Adjuncts are paid so little at the minimum we’re being offered right now that a person who is teaching nearly full time at the university as an adjunct makes very little more than a low-wage worker on the campus custodial staff or food service. And we don’t have benefits. The solidarity with others on the university payroll has led to support for the adjuncts on an upcoming day of solidarity, this coming Thursday, O’Bryan said. A rally is also scheduled for the campus library that day , as are other events in support of the Fight for $15 movement on behalf of fast-food workers. O’Bryan said that a petition in support of the adjuncts has about 900 signatures from faculty of all ranks, students and other unions in the St. Louis area. O’Bryan said other financially related issues besides salary are also on the union’s agenda, everything from subsidized Metro passes that aren’t available to adjuncts to coverage by the Family and Medical Leave Act, which would protect adjuncts who may have to take time off for the birth of a child or to care for an ailing relative. “As a university, we absolutely respect the right of any individual to express themselves in any way that they choose. In this case, we’re getting toward the end of a semester. We have students who are anxious about wrapping up their coursework and preparing for exams. O’Bryan said he hopes that negotiating sessions scheduled for this week in the days before the planned walkout yield enough movement that the demonstration can be called off. “I am forever an optimist in many ways,” he added. Did he expect that as a part-time English instructor, he would become so active in advocating for workers’ rights? Nine months after contract talks with newly unionized adjunct instructors began at Washington University, negotiators have tentative agreements on a dozen workplace issues. But the thornier issues of salary and benefits still remain to be settled. Updated at 7:43 p.m., Nov. 1, with results of vote: ​Part-time instructors at St. Louis Community College have voted overwhelmingly to join a union. Jonathan Huskey, a spokesman for the Service Employees International Union, reported Sunday night that two days of balloting over the weekend resulted in approval of the union proposition by a vote of 188-15. He said 574 adjunct instructors were eligible to vote in the election. 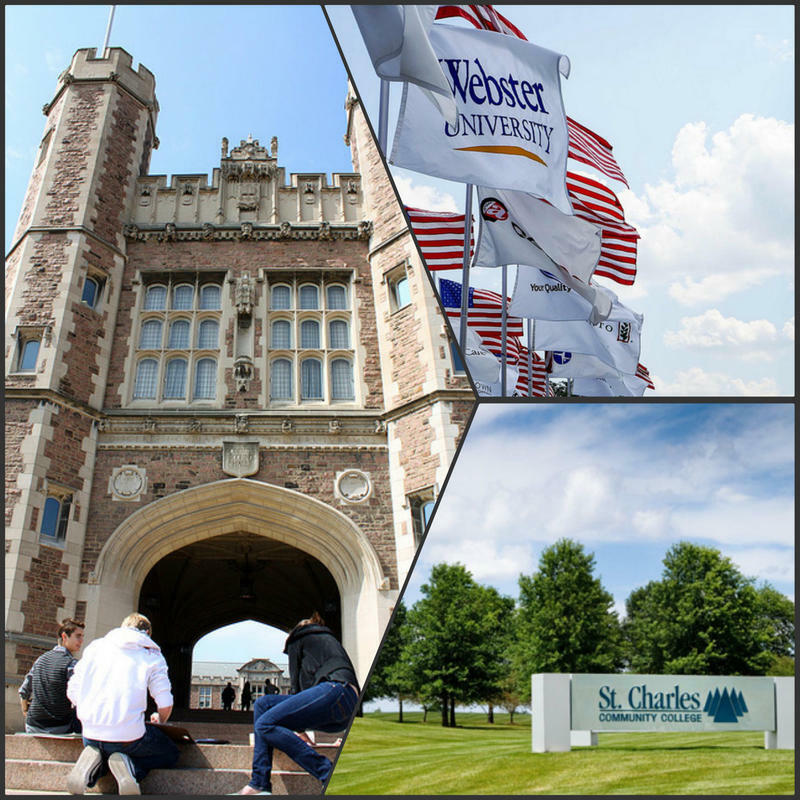 Newly unionized adjunct instructors at Washington University prepared for their first negotiating session with the university this week, while adjuncts at Webster University get ready to decide whether they should organize as well. And the organizing movement could soon spread to St. Charles Community College.